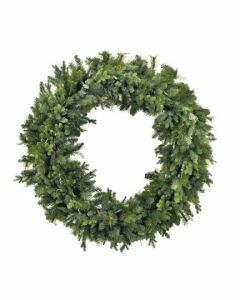 Add holiday cheer to your front door with this elegant Magnolia Leaf Wreath. It measures 32" W x 32" H. Please note this item is custom made to order and cannot be returned. The lead time is approximately 2-4 weeks. Click on image for greater detail. Usually ships in 2-4 weeks.